stores, and has been bulking up its on-demand offering. exchange’s minimum. More often than not, a company’s delisting is signal of impending demise. The only good news for Blockbuster last week was that its bondholders decided to give the video rental chain a six week extension on an interest payment. But the company has a whopping $1bn in debt and the odds of it surviving seem slim. While it has become somewhat cliché to claim that the internet has killed [insert industry name here], the truth of the matter is that technological disruption, led by companies like Netflix and Redbox, is responsible for many of Blockbuster’s woes. Netflix, of course, used the internet to make renting videos as simple as clicking a button and checking your mail, and is now helping make internet-based on-demand viewing a mainstream phenomenon. And Redbox’s model, which sports self-service kiosks and $1/day rentals, has obvious advantages over the bricks-and-mortar model Blockbuster dominated before the rise of the internet. Blockbuster, of course, wasn’t completely ignorant of the technological disruption that was taking place around it. In 2007, it bought online video service Movielink. And its on-demand offering takes advantage of set-top boxes, the Xbox 360 and even mobile devices. But execution has always been a problem. Blockbuster dropped Movielink’s technology in 2009, and it arguably took too long to develop its on-demand offering. In the face of technological change, Blockbuster’s brand hasn’t been a particularly potent weapon. Had Blockbuster moved fast enough, and brought to market compelling new offerings before upstarts like Netflix and Redbox completely disrupted it, the company may have been able to leverage its brand to keep consumers from flocking elsewhere. But today, no matter how hard Blockbuster tries, it will have a hard time winning back consumers. 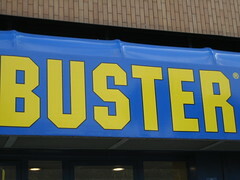 Blockbuster’s brand simply represents the past. As Blockbuster’s end nears, there’s a good lesson here for other companies facing technological change: your brand can only do so much. And when you don’t move fast enough to adapt, it can even become a liability. Photo credit: sunshinecity via Flickr. Mobile app store GetJar announced today that it has received $11m (£7.4m) in Series B funding from Accel Partners. GetJar is the second largest mobile app store. and unlike Apple, it is an open ecosystem, providing apps for smartphones and feature phones across a range of platforms. Paythru provides mobile payments for a range of clients, including charities and local authorities, as well as retailers getting into mobile commerce. I’ve been speaking to Paythru MD Keith Brown about the company, and the challenges of making mobile payments easy for customers. Google to gamers: come out and play? Google is the 800 pound gorilla of the internet, but despite its prominence, it doesn’t have a large footprint in some of the internet’s most lucrative emerging markets, such as online gaming. But it might be looking to change that. 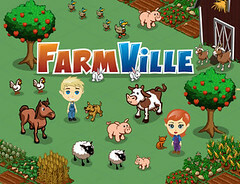 On Saturday, TechCrunch’s Michael Arrington reported that Google has “secretly invested” $100m to $200m in Zynga, the maker of some of the internet’s most popular social games, including Farmville and Mafia Wars. According to Arrington, the investment is related to a new product Google is creating with Zynga’s help: Google Games.